Home › Blog › Magento › Magento FAQs: You Asked, We Answered. 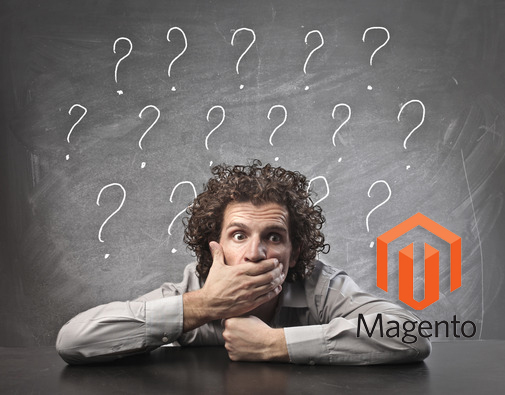 Magento FAQs: You Asked, We Answered. Here are the most common questions about the most common e-commerce platform, collected in one handy spot. If you have a Magento store – or if you’re thinking about getting one – this is the info you should know, now. Magento is an e-commerce platform built using open-source technology. It’s one of the most popular platforms for online stores because it has tons of features, is very flexible and scalable, and gives users full control over their store’s look and functionality. There’s a great admin interface that allows you to market your business, search-optimize your site and manage your catalog, and the platform is backed by the Varien support network. In a nutshell: Magento is popular because it works extremely well. Nothing easier. Just visit the demo link here. Trick question, here. The Magento Community Edition is free – it’s available to download under the OSL 3.0 license. However, you have to pay for the premium edition (Magento Enterprise). You can see all the grisly pricing details for that version here. Again, two-part answer. The free community edition has an open-source certified license (OSL 3.0), while the premium Enterprise version has a commercial license. More details here. What’s so awesome about Open Source? A number of things. According to a recent report from O'Reilly Research, Open Source products have superior agility and scale, better security and overall quality, lower cost and reduced vendor lock-in. Not surprisingly, they’re wildly popular. What features do I get with Magento? Does Magento have tech support? Yes and no. (You guessed it, the answers are once again different for the Community and Enterprise editions.) Community users can get peer-to-peer product support through wiki, chat and forums. Enterprise subscribers can access full product support. What web hosts are compatible with Magento? Most hosting providers (including Endlayer) are Magento-friendly. Visit this page to see the complete system requirements. How about payment gateways – which ones work with Magento? There’s a list of compatible payment gateways under “Payment” in Magento’s Feature list. What does an actual Magento store look like? You can see live examples (specimens in the wild, people!) here or here. The Magento wiki also features a community-curated list of Magento stores. For more information on e-commerce platforms, click here.